Join America's leading suppliers to the oil & gas industry in the Middle East. Why Exhibit at ADIPEC 2019? In November 2019, Abu Dhabi hosts the 22nd Abu Dhabi International Petroleum Exhibition and Conference (ADIPEC) and if there’s one sure thing in the highly speculative business of oil & gas, it’s ADIPEC, the centerpiece event of the Middle East petroleum industry and one of the crown jewels of international trade shows. No matter how high or low oil prices go, or how much more or less producers decide to produce, ADIPEC delivers consistently for exhibitors and attendees. That value raises the stakes on the show floor where more than 2,000 exhibitors compete for the attention of as many as 100,000 informed, curious buyers and influencers. Add that to the 35 NOC’s & IOC’s on the show floor and this global business hub will be full of energy. From national leaders to consultants, ADIPEC attracts anyone and everyone serious about conducting business within the region and has grown into a benchmark for business, for networking and for thought leadership – an unrivaled platform for knowledge sharing and connectivity between the sector’s brightest and most influential minds. Kallman Worldwide’s decades of experience organizing the U.S. presence at international shows around the world, including ADIPEC (since 2006), builds on America's advantage to help you stand out at the show. 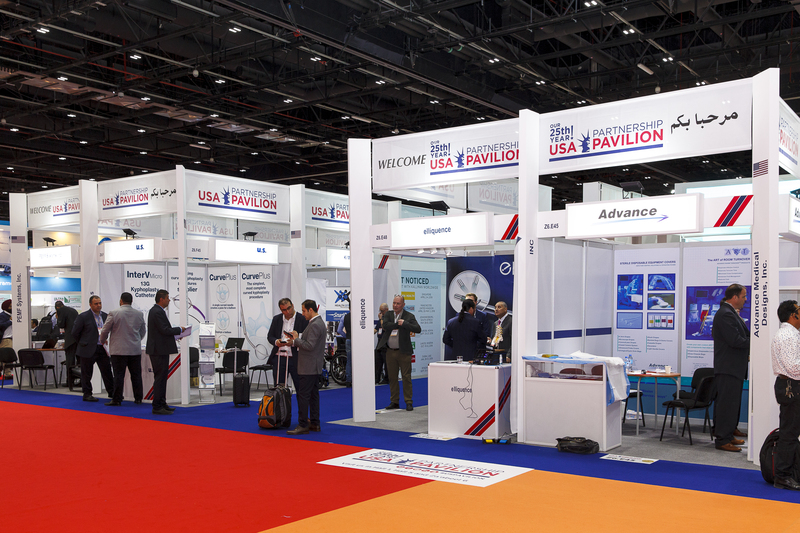 Our USA Partnership Pavilion is your on-site headquarters at ADIPEC: a destination for buyers, a business hub for exhibitors and a forum for all to share ideas and insights. In 2019, in addition to our suite of end-to-end show services, Pavilion exhibitors will benefit from a prominent, high-traffic hall location, access to public- and private-sector VIPs and influencers, exclusive business intelligence from industry thought-leaders and operatives and exclusive networking events. We love our USA Partnership Pavilion location! But if your business needs are better met in another location outside the pavilion, turn to us first. We will work with our close contacts in the show organizer’s office to get you a location that best suits your needs. 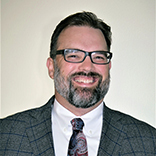 Explore our many planning resources below to learn more and sell more with Kallman at ADIPEC 2019. Over $3 trillion of projects are underway or planned in the Middle East region and Abu Dhabi continues to attract huge capital intensive projects. Over $9 billion of contracts were signed during ADIPEC 2018, a figure which is expected to grow in 2019. The event delivers real business opportunities: 81% of attendees are decision makers, purchasers or influencers. ADIPEC represents major opportunities across the supply chain for international oil companies, independent exploration and production companies, EPC contractors and suppliers of technologies and know-how. An increasing need for enhanced oil recovery (EOR), sour gas, heavy oil, tight gas, LNG, GTL, and “clean fuels” refineries has driven the need for advanced technologies and know-how, much of it garnered by joint ventures with international oil companies (IOCs) and their supply chains. Despite hosting an estimated 40% of the world’s gas reserves, the region cannot keep up with the rapid demand for gas, driving major new exploration campaigns, production of unconventional and sour gas and importation of LNG. Co-located exhibition and conference dedicated to security across the oil and gas industry, which brought together cyber and physical security leaders together for the first time at ADIPEC 2016. Cyber security is the number one security concern for the region’s petroleum industry. The need to manage and contain this risk will be major opportunity for specialist service providers who can contain and defeat these attacks. Co-located exhibition and conference (7,500+ gross sqm) providing more than 100 companies with a unique opportunity to showcase a wide range of equipment, products and services for the offshore sector; located at the waterfront directly across from the Exhibition Hall. 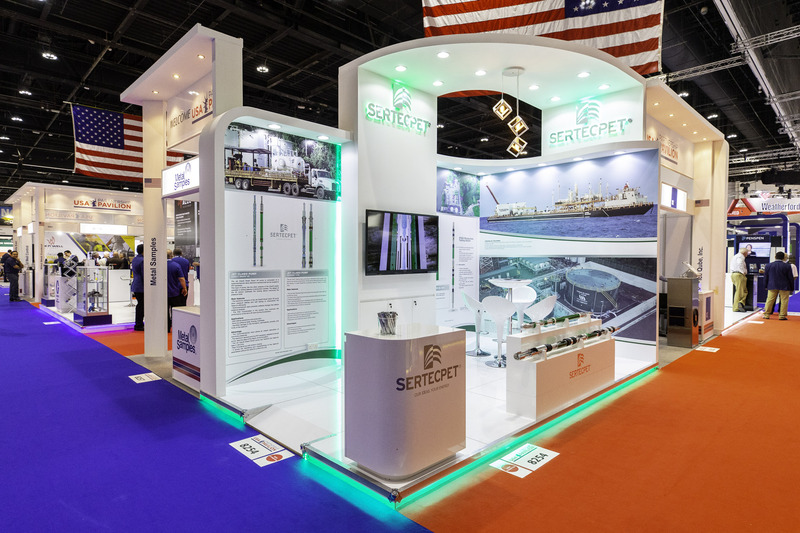 As an exhibitor in the USA Partnership Pavilion at ADIPEC, you start the show with an advantage you can build on. From the design of your stand to the presentation of your brand, Kallman Worldwide’s portfolio of booth, promotion and PR options will elevate your initiatives to new heights. The USA Partnership Pavilion is your export advantage at ADIPEC. 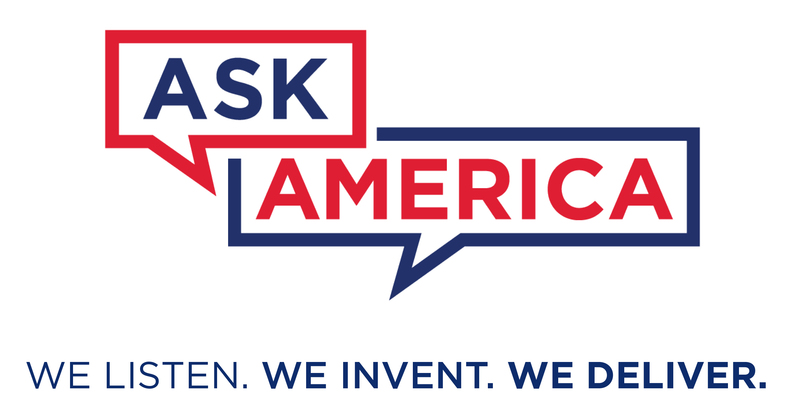 Because it presents the highest concentration of USA equipment and services at the show, it's a magnet for buyers looking for American quality, innovation and partnership. ADIPEC will attract oil & gas delegations from the UAE and around the world. 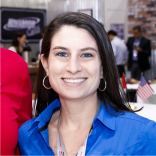 The USA Partnership Pavilion provides the essential business platform and unique opportunity for American exhibitors to meet with industry experts, peers, potential customers and suppliers. The United States has enjoyed warm relations with the UAE since 1971. The U.S. was the third country to establish formal diplomatic relations with the UAE and has had an ambassador resident in the UAE since 1974. These local/regional advocates for America's industry interests support the Pavilion and the collective USA presence at ADIPEC. Kallman Worldwide is an active member of each. 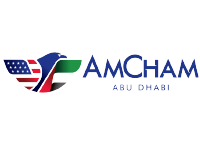 AmCham Abu Dhabi, the trademark of the American Business Group of Abu Dhabi, is a member of the global network of American Chambers of Commerce. The Bilateral US-Arab Chamber of Commerce is an exclusive membership-based network of international business leadership that establishes strategic connections with key decision-makers in the United States and Middle East/North Africa to foster economic growth, educational advancement and mutual respect. Trade and industry news reports influence the decisions attendees make about where to spend their valuable time during the show. 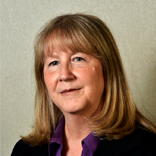 Industry media reports are also critical sources for professionals who can’t attend. Our long-standing editorial and marketing relationships with leading oil and gas industry media companies bring extra attention and insight to the USA Partnership Pavilion at ADIPEC. Look for real-time Headline News from our industry media partners on our website and at our on-site Newsstand during the event, where you can also pick up copies of their latest publications. Oil Review Middle East is the region's leading oil and gas publisher. In print and online it covers the exploration and production, upstream and downstream petroleum industry from the Gulf Corporation Council states and Iran to North Africa and the Caspian. 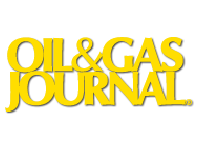 First published in 1902, Oil & Gas Journal is the world's most widely read petroleum industry publication. Each week the Journal delivers the latest international oil and gas news; analysis of issues and events; practical technology for design, operation and maintenance; and important statistics on international markets and activity. 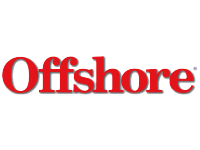 Offshore magazine, first published in 1954, is a monthly publication recognized as the worldwide leader for covering the key issues and trends relative to offshore technology, oil and gas E&P operations. It is the world's most highly respected magazine dedicated entirely to the offshore industry, and enjoys the highest and most widely read circulation in its class. 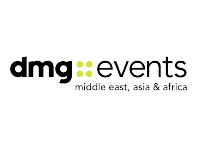 An international exhibition and publishing company, dmg events Middle East, Asia & Africa has operated in the Middle East since 1995. We produce more than 40+ market-leading exhibitions for the global construction, coatings, hospitality, interior design and energy industries. As an exhibitor in the USA Partnership Pavilion at ADIPEC, you start the show with an advantage you can build on. From the design of your stand to introductions to key industry players, Kallman's portfolio of services and impact options will generate more buzz for your business. The centerpiece of our program is the Guide to USA Partnership Pavilion Exhibitors. It's essential reading for international buyers looking for USA suppliers, and Kallman distributes hundreds-to-thousands of copies on site at the show. For ADIPEC, we'll also post an interactive online directory at kallman.com for worldwide reference. Every exhibitor in the USA Partnership Pavilion receives a free listing in the Guide and a cross-reference in their product or service categories. Add your logo exclusively to the official Pavilion lanyards or tote bags. Kallman Worldwide is committed to your success online, as well as on site, with social media support that extends your ADIPEC outreach and impact. Social media can help you generate buzz, increase brand exposure, and strengthen relationships with buyers, opinion-leaders and influencers.! Whether you’re active on social media or just looking to dip your toe in the water, we offer simple, low-risk support to USA Partnership Pavilion exhibitors. Follow us on Twitter, Facebook, LinkedIn, Instagram and Flickr — and let us know how to follow you, too. Your company contact details will be included in the ADIPEC 2017 show catalogue. Available to 95,000 trade professionals that visit ADIPEC from 135 countries. Take advantage of personalized e-signatures and e-invitations in the ADIPEC template and invite your industry colleagues to visit you during ADIPEC. Exhibitors can upload their product brochures using the exhibitor manual and automatically sync on your name under the listing page. Exhibitors are also entitled to display product and service photos so ADIPEC visitors can explore what they can see at the show. Target like-minded professionals and new customers through the ADIPEC Global Meetings Program. Contact the ADIPEC team to prearrange tailored meetings.